When buying a pickup truck, buyers in Middleton, Nova Scotia do not have that many options, but they are all good ones. When buying a pickup truck, buyers in Middleton, Nova Scotia do not have that many options, but they are all good ones. Indeed, the 2016 Chevrolet Silverado is certainly a very good option, but so is the 2016 Ram 1500. It all depends on your needs. 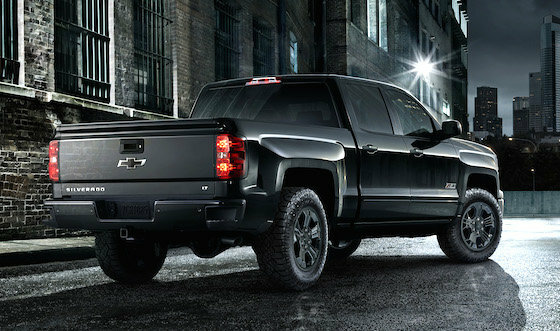 To help you make the best buying decision possible in Middleton, Nova Scotia, have a look at the following ways the new Silverado outshines the competition. The first area where the 2016 Silverado shines is in terms of connectivity. Not only does the new Silverado offer OnStar, but it also features 4G LTE WiFi, allowing you to access the internet using your new pickup in Middleton, Nova Scotia as a hotspot. That means that wherever you are, you are always connected. You can also enjoy the added safety and convenience of OnStar which provides a variety of services including notifying authorities when you have an accident, or simply proving directions if you are lost. In terms of power, both the 2016 Ram in Middleton as well as the 2016 Silverado offer plenty of engine choices, but the Silverado offers the most powerful variant thanks to an available 420 horsepower V8. Finally, the 2016 Silverado was named AJAC’s best new pickup truck in 2016, a prestigious award which highlights all the qualities of Chevrolet’s full-size pickup.